196 East 26th Ave. at Main St.
Stephen Malloy directs a dynamite ensemble cast in David Mamet’s Pulitzer Prize- and Tony Award-winning play about fast-talking real estate salesmen and the lengths to which they will go to make a deal. Ryan Beil, Ian Butcher, Bill Dow, Josh Drebit, Alex Ferguson, Patrick Keating, Daryl King and Michael P. Northey will make Mamet’s rapid-fire dialogue ricochet off the walls of Little Mountain Studio, a small art gallery converted into an intimate performance space. Sparks will fly! 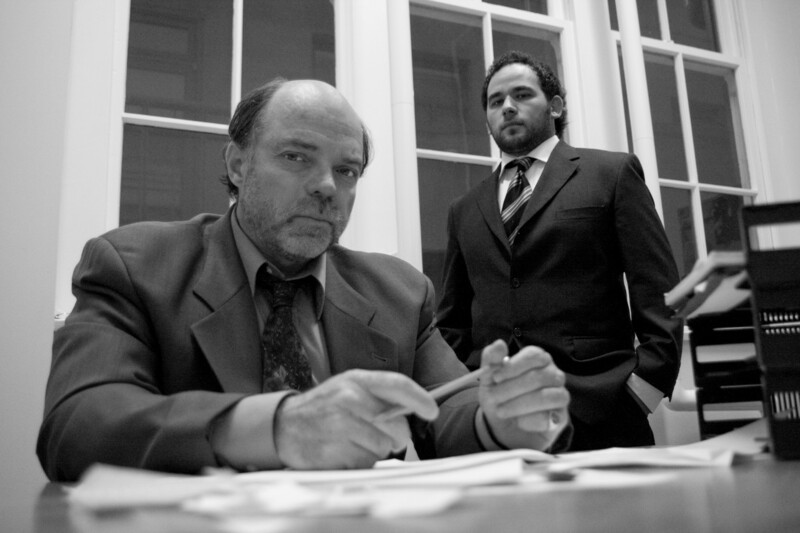 Like so many other creative and ambitious endeavours, this production of Glengarry Glen Ross came about over pints of beer. “We were talking about how we’d love to see more of the contemporary classics – Mamet, Stoppard, O’Neill, Simon, Coward, Albee and others – produced in Vancouver,” says King, who is producing the show with Beil and Drebit. “Nine times out of ten, the ideas that come out of conversations like this remain in the bar with the empty pint glasses. But this time, we decided to forge ahead. 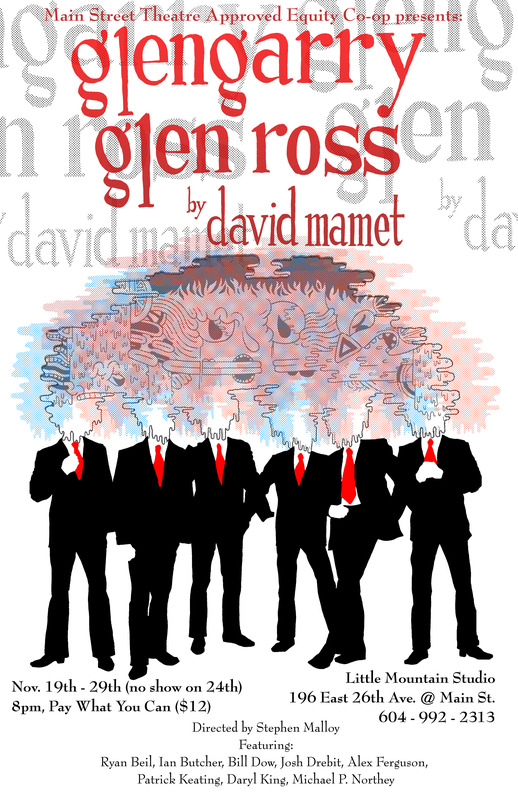 We settled on Glengarry Glen Ross because of the power of the writing, the comment it makes on modern business practices, and the strong ensemble feel of the show.” Respected Vancouver actor Bill Dow agreed to join the cast in the pivotal role of Levene, and everything seemed to fall into place with remarkable ease after that. The result: an explosive evening of theatre in an intimate, unconventional venue…and a rare Vancouver mounting of a modern classic.